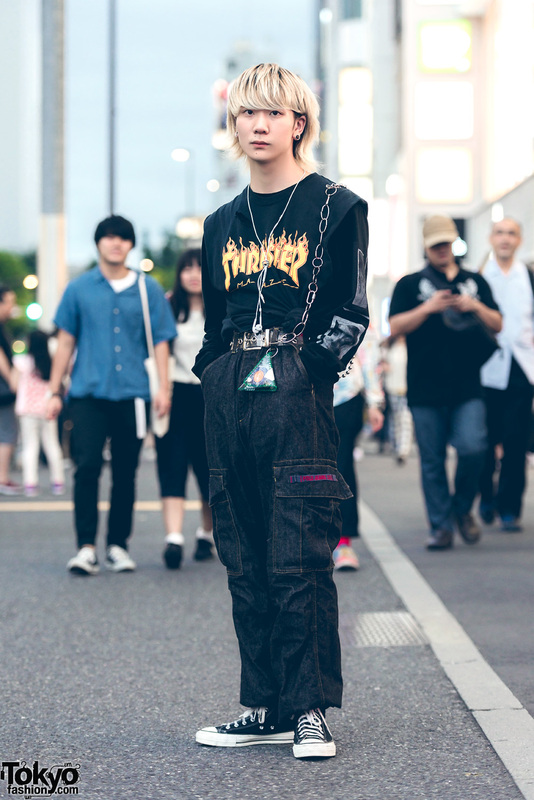 Harajuku girl wearing a black jacket, a white graphic tee, red pants, and black boots. 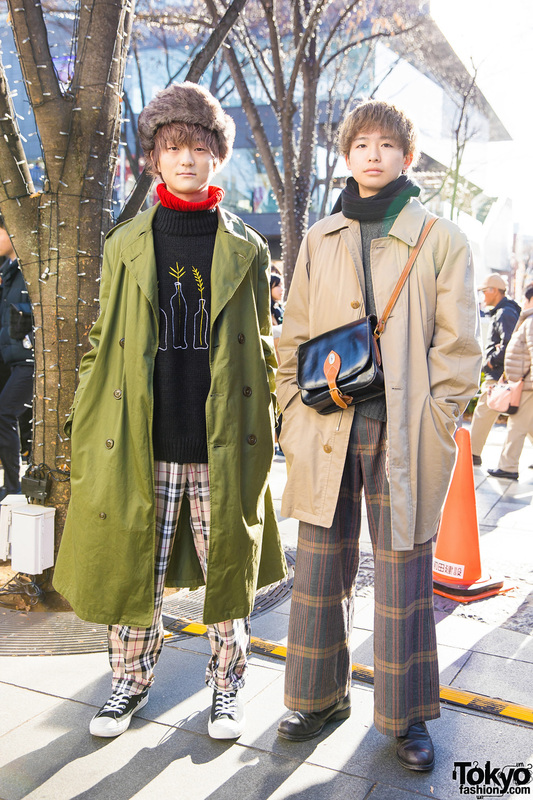 Part-time worker showcasing casual-cool street fashion in Harajuku. 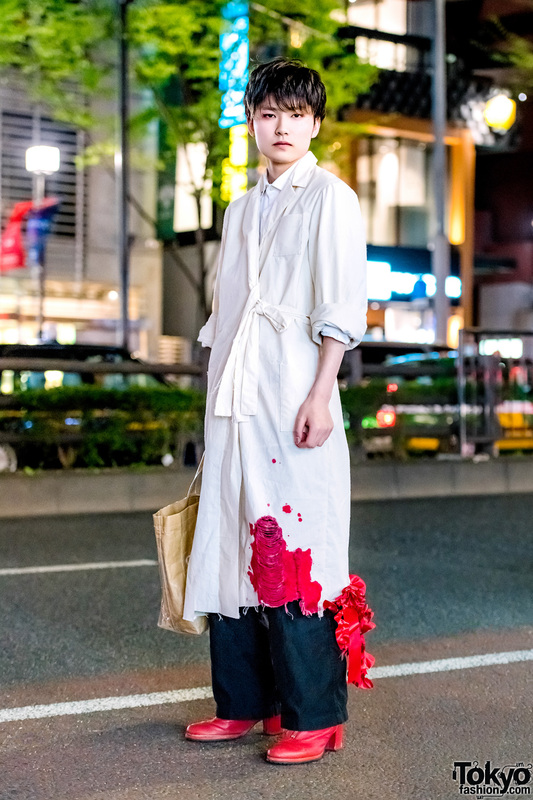 Tokyo guy in black and red fashion wearing a button down long sleeve shirt, pleated pants, white socks, flame print sneakers, black cap and a sling bag.